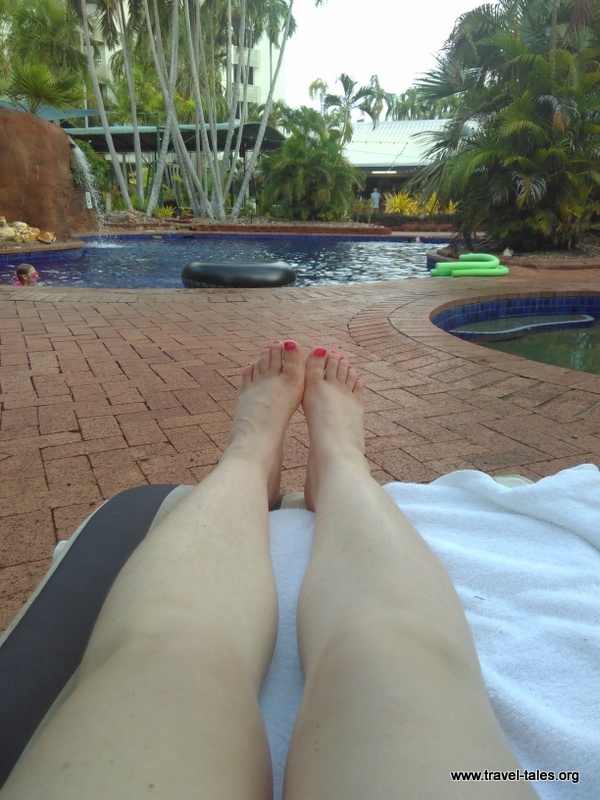 Although I spent less than 24 hours in Darwin, I felt like I was back in a Houston summer. It was hot and humid, despite being a bit overcast. It was only spring time when I was there and I dread to think what a Darwin summer is like! I explored the top end of the Top End of Australia and walked up to the waterfront. On the way, there is a memorial to Charles Darwin in the form of ships bells which have been decorated with Australian fauna and one of HMS Beagle. It is programmed to chime tunes at various times of the day. I only found this out afterwards so didn’t manage to hear them sound. The waterfront has been redeveloped recently and an area of sea has been enclosed to be protected from crocodiles. Not having come prepared with swimming gear, I didn’t do much more than dip my feet in the pacific. Previous A country of convicts?